Official documents outlining reforms of the country's State-owned enterprises (SOEs) are expected to be released soon, Xu Shaoshi, chairman of the National Development and Reform Commission (NDRC), said Wednesday during the Summer Davos Forum being held in Dalian, Northeast China's Liaoning Province. The SOEs have already adopted various measures to reform themselves and help combat the current economic downturn, such as engaging in more mergers and acquisitions, Xu said. Among the many aspects of the SOE reform plans, efforts to encourage mixed ownership have generated the most interest, Wang Jianzhou, director of the China Association for Public Companies (CAPC) and ex-chairman of China Mobile Communications Corp (CMCC), said at a Davos seminar. The mixed-ownership model is an equity structure that allows non-State participants such as private firms and foreign investors to hold shares in a State-owned company. According to a survey conducted by the CAPC on SOE reform, all the respondents, whether private enterprises or SOEs, said they "strongly supported" the adoption of the mixed-ownership model, Wang noted, without revealing details of the survey. Wang said the mixed-ownership model has already been applied in some Chinese SOEs, particularly those that are publicly listed. And further SOE reform will encourage more sources of capital to invest in the companies, he noted. The Chinese government will shortly announce guidelines that will allow employees at some SOEs to get shares in their companies, China Business Journal reported on Wednesday. Encouragement for private sector participation in SOEs would "unlock a massive amount of economic value," ANZ Banking Group said in a note it e-mailed to the Global Times Wednesday. The reform would give private investors "more confidence" in acquiring equity in SOEs, and it could also reduce their overheated investment in the real estate sector and wealth management products, according to the ANZ note. The note also said that the reform would provide a channel for companies and households to deploy excess savings through equity investment. Wang nevertheless noted that SOE reform should not just be about share diversification. "What's more important is that SOEs in China should have a better operation mechanism that can make them more market-oriented," he said. Ye Hang, a professor with the College of Economics at Zhejiang University, told the Global Times on Wednesday that many SOEs in China have a monopoly position in some high-margin industries, which is hindering the development of those industries. "First, a lack of competition has lowered the efficiency of those companies. Second, their monopolies lead to high profits, which in turn may lead to corruption," Ye said. However, SOE reform will be a "gradual process," as the government needs time to relinquish its control over the SOEs, according to the ANZ note. By acting against monopolies, the reform will also prompt SOEs to pursue innovation in order to adapt to the market, an analyst at a Shanghai-based securities firm who wished to remain anonymous told the Global Times on Wednesday. In the telecommunications industry, for example, new business models are emerging that have hurt the profitability of traditional SOEs in the industry. 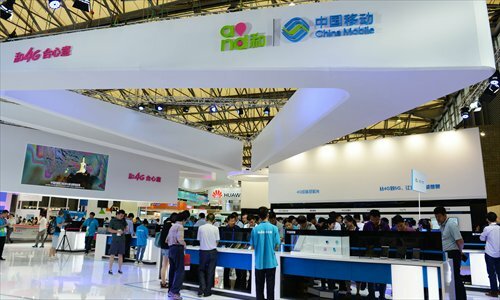 According to a report from domestic news portal chinanews.com on Wednesday, CMCC has seen its net profits fall for eight consecutive quarters. "Market demand has changed, and telecom companies should seek new business opportunities, such as working with Internet companies," Wang noted. As well as changes to the ownership structure, looking at remuneration should also be an important part of the SOE reform program, Ye said. "It's unfair that many senior executives at SOEs in China have similar, or even higher pay than professional managers at private companies, because they don't need to take so much responsibility for their companies' operation," Ye noted, adding that SOE executives' salaries should be "greatly lowered." But the securities analyst said there should be a "performance-based incentive system" for SOE senior executives, as a form of encouragement.